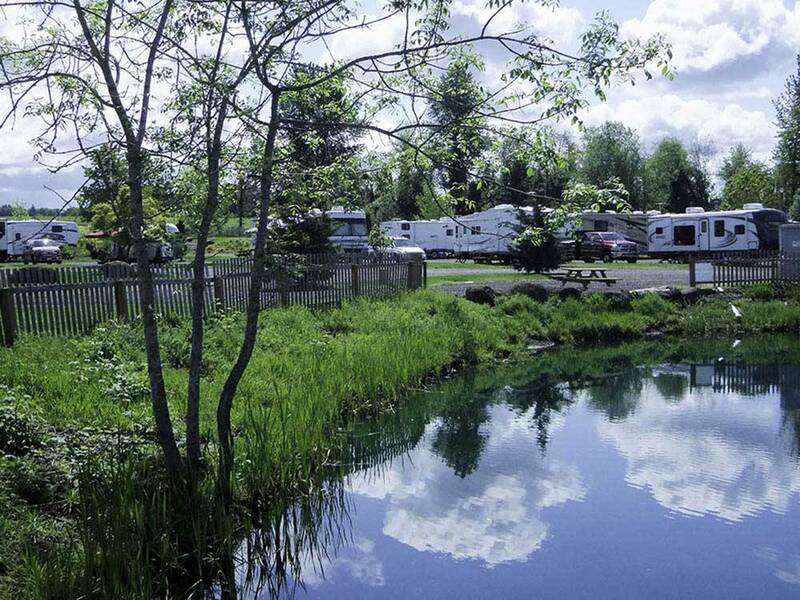 We were searching for a one night stay south of Portland and found the Silver Spur RV Park. Our site was a pull through which handled our 41' fifth wheel with a parking area beside for the towing rig. The site was gravel, level, and drained well (it was raining most of the day). Staff was very friendly and accommodating. We wish we could have stayed longer and will choose this park if we are in the area again. Beautiful, well maintained park just 12 miles from Salem. Staff is friendly and laundromat clean. Enjoyed a great quiche breakfast at Denton diner on Saturday. Will stay here again! Park is in a great location, all gravel sites, somewhat level, a really great staff. Stayed a month during heavy rains of February, and enjoyed the stay. All facilities are clean and inviting. Definitely will stay here when in Silverton if space is available. long sites, very very nice welcome from owners/managers. Friendly people. some full timers...very close to Silverton which has nice restaurants and the Oregon garden. This is a beautiful park. We have stayed here many times in the past several years. The whole park is kept well groomed and maintained. It is a nice quiet park. The week+ that we were visiting it had a mix of families and seniors with activities that were enjoyed by both. It can be quite difficult to get reservations during times that events are held in & around Silverton...plan ahead if you can! It is well located for visiting Silverton & sites around the area. The staff has always been very friendly and helpful.